After Tuesday's trail run, the Green Girl realized the medial support in the New Balance 760's was inadequate for her low arches. After feeling one too many twinges of posterior tibial tendon pain, I knew I had to take them back. It was one of those cases where you feel fine when you are running but you feel pain after the fact. I was running out of options at this point. The New Balance 85x high stability shoes combined with my orthotics were over-correcting my overpronation and causing me to oversupinate. 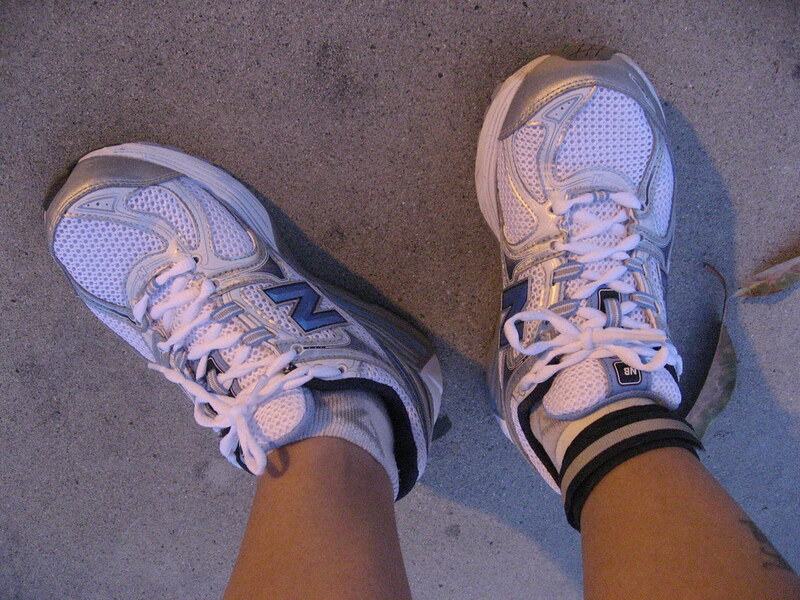 The 740/760 stability shoes were not supportive enough. The 1123 motion control shoes offered the appropriate level of support but the sole was bulky and I disliked the high heel counter and flimsy tongue design. I was feeling a little discouraged when I headed back to my local New Balance store after work today to return my latest purchase. I was patiently waiting for a salesperson to assist me when I saw a pair of 1012's. Like the 1123's, the 1012 has a straight last. My podiatrist had mentioned shoes with a straight last would be a better fit for me because my Fred Flintstone feet are so straight. I tried them on and jogged around the store. They felt really good and my gait felt solid and even. My faithful New Balance store allowed me to exchange the muddy 760's for the 1012's - no questions asked. I was anxious to take my new shoes out for a spin so I headed out shortly after I got home. Both of my knees are sore - I'm assuming from putting them through what is now four pairs of shoes in just over a week - so I opted to go for an easy run and focused on keeping my feet aligned. I ran through some small neighborhoods and past shopping center. 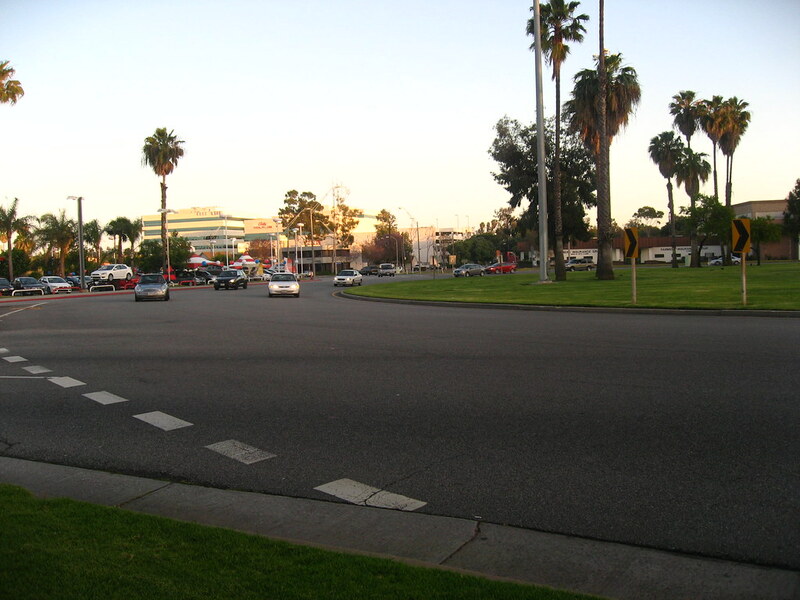 I ran on the grass around the Long Beach Traffic Circle. Long Beach locals like to tell a tale of how the engineer who constructed the circle, Werner Ruchti, ultimately died in an automobile accident on the Circle. 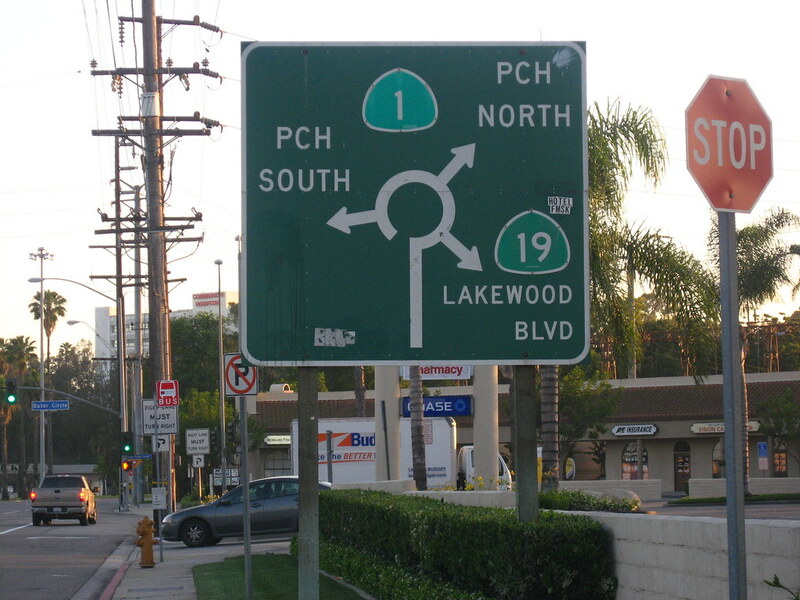 From the Circle, I headed northbound on Lakewood Blvd. I ran past the furniture store that falsely advertises its demise a few times a year. I was pleased that both my arches were feeling good. I wasn't experiencing any of that initial soreness that I felt with the 760's. My plantar fasciitis didn't flare up either. 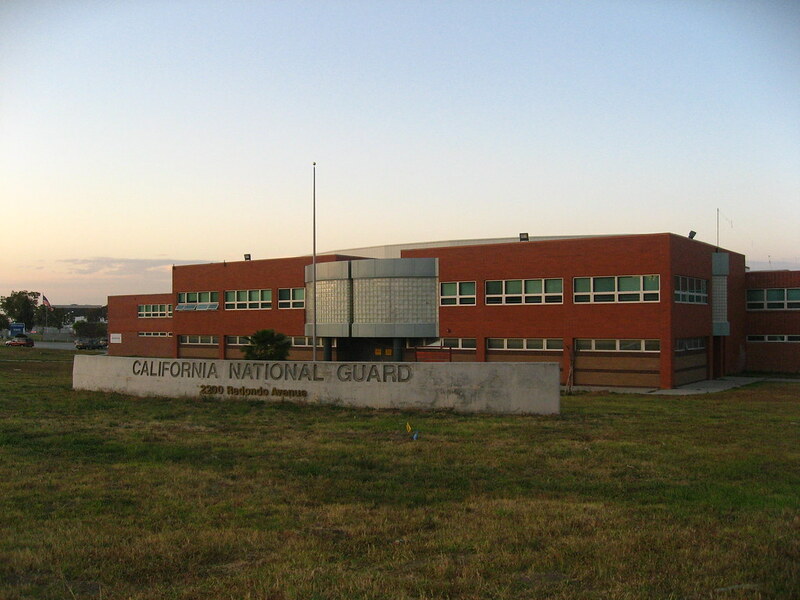 I ran by the Long Beach National Guard Armory. I caught glimpses of the sun setting west of Signal Hill as I ran home. After this evening's good run, I am cautiously optimistic. Before I go to bed, I will do the posterior tibial tendonitis exercises and massage my feet with Peaceful Mountain Tendon Rescue Gel. I really hope the new shoes sort out your problems. Nice run report and pics! Bwaa ha ha ha! Serves him right. I'll never forget the first time I "experienced" the circle. Got stuck on the inside lane. I was terrified tying to escape to Lakewood! Hope the new shoes workout. Johann, I can't wait to see pictures from your runs with your new camera. Glenn, you crack me up. I always wonder how much truth there is in that story.